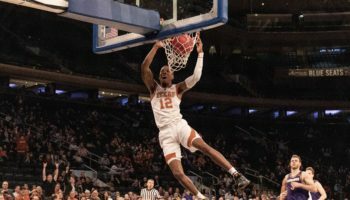 NEW YORK — While athletics teams at the University of Texas are used to playing in the biggest stages, the opportunity for Lipscomb University to play — and thrive — in the Big Apple was too good to just be a spectator on the way to its first major NCAA basketball championship. 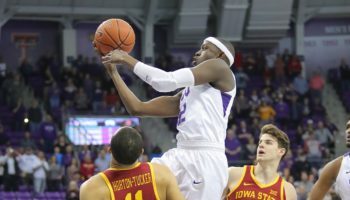 Both schools will square off on Thursday for a national championship at Madison Square Garden after victories in National Invitation Tournament semifinals, with Lipscomb, the Nashville-based school with an enrollment of just under 3,000, taking out Wichita State 71-64 in game one of the doubleheader. Down 64-57 at the under-4 media timeout, the Bisons closed the game on a 14-0 run, led by Garrison Mathews 34 points. 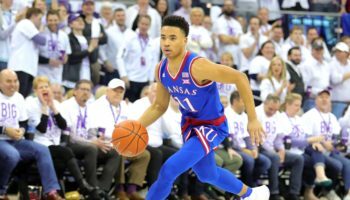 Mathews, who scored 44 points in the quarterfinal win at NC State, became the first player to have back-to-back 30-point outings in the NIT since 2011. Rob Marberry scored 14 points for the Bisons while Eli Pepper grabbed a game-high 15 rebounds. Wichita State, which once had a 61-50 lead earlier in the half, ended the game missing their last 10 shots. The Shockers won the NIT championship in 2011, which helped springboard the program to the NCAA Final Four just two years later. 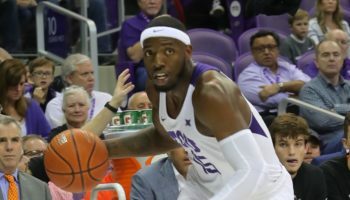 The Bisons will take on Texas in the final after the Longhorns avenged two losses to TCU in conference play, defeating the Horned Frogs 58-44 in the nightcap. Guard Kerwin Roach came off the bench to score a game-high 22 points, making nine of his 14 shots from the field. The Longhorns held TCU to under 30 percent shooting in each half, as TCU made just 17 of their 60 shots from the floor (28.3 percent). 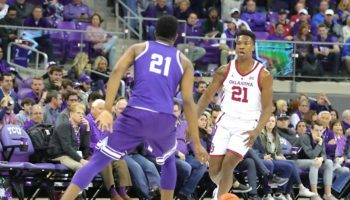 “I told them during the game, I thought there were times where we passed up open shots and then took tough shots, and usually that’s not — those two things don’t occur but that was how we were playing and just never got into our rhythm,” said TCU head coach Jamie Dixon.